We all want to find the lowest rate while shopping for a mortgage but the problem is, very often we look for the lowest quoted number not understanding the futility of this approach. -Excuse me, is this doctor’s office? -I would like to become your patient but only if you can guarantee me a clean bill of health. -Sorry, but until you come in and go through a variety of tests and get a full physical exam we will not be able to do that. -Let me call another doctor then. Sounds pretty silly, doesn’t it? Yet, this is exactly what we do when we call different banks asking “What’s your rate?” What’s even sillier is when we finally find a bank that quotes an attractive rate without knowing anything about the “health” of the borrower, we blindly trust the largest financial decision of our life to the stranger on the other end of the phone. We advise that you consider doing your mortgage with those loan consultants who are unwilling to give you a quote without asking you any qualifying questions first. You might be thinking: “I can ask for the lowest rate, since I fall into the category of the best borrowers”. The reality is, in today’s tight lending environment, you just don’t know how strong of a borrower you really are. Factors that you may not be considering, such as the type of property you are buying, the state that the property is in, whether or not you are buying or refinancing, if you are a salaried employee or self-employed, will impact the interest rate that you will get. These factors are considered in addition to the obvious ones like income, credit and down payment. Another important question to ask is when the rate that was quoted to you can be “locked” in, and for how long. Since the rate is only guaranteed when the bank “locks” it, you need to understand at which point in the process this can be done and for how many days that “lock” is valid. If the quoted low rate can only be locked in for 10 days you would have to wait until you are within 10 days of your closing date, at which point the market can change significantly. The quotes number is completely meaningless unless it can be “locked” in immediately (or at least within a day or two after application) for sufficient number of days. You also should not forget to inquire about the bank origination fee that is associated with the quoted rate. 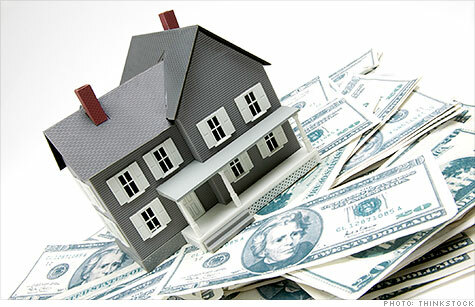 Click here to read about various closing costs. So to summarize: when shopping around for the best rate, don’t jump at the first person who tells you what you want to hear. Gage the experience and professionalism of the person on the phone by the quality and quantity of questions they ask you. If they are eager to give you a number, they are probably not very reliable.